We all know about the white sand beaches, clear aqua blue waters, and the tropical weather of Cancun. But what you may not know is that this tourist destination is teeming with delicious foods for you to experience while on your Caribbean vacation. Let us show you how to make the most out of your Cancun foodie vacation. 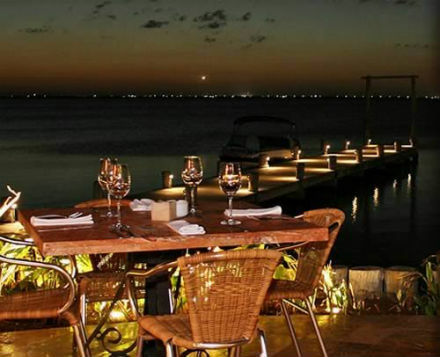 Some of the freshest seafood and best cuts of steaks are available to you in Cancun at many fine-dining restaurants. Enjoy the experience of being waited on hand-and-foot, while tasting some of the finest foods, surrounded by incomparable views. With everything from Argentinian to amazing seafood, your taste buds will be sure to thank you. Wanting to try something new and excite your mouth? 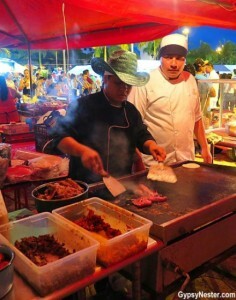 Street food is a perfect way to taste new flavors and to eat with the locals. Discover tacos de canasta, tortas al pastor, and so much more at these small stands that are packed with flavorful foods and personality. Candy is different in every country, and a great reason to travel to different places is to enjoy some sweets! Whether you are interested in breakfast or dessert, Cancun is filled with plenty of sweet treats for all occasions. 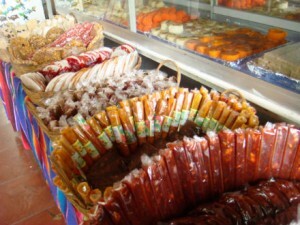 Sold everywhere from the small markets to the fancy restaurants, these local treats should be on your “must-try” list before you leave Cancun. Whether you have come to Cancun with money to spend or are watching your wallet on your vacation, Cancun has something for you. If you haven’t booked your dream vacation yet, don’t worry! It’s not to late to book now.